Managing multiple email accounts can be a tough chore. Right? You can use Yahoo's mail forwarding feature and have all emails delivered to your Gmail, Hotmail or work account. 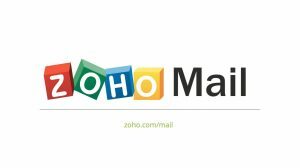 You have a Yahoo Mail address, but you do not use it much since you switched to Gmail. 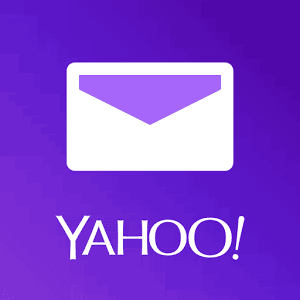 So, you do not want to check Yahoo Mail daily, and want to make sure that you do not miss an important mail sent to your Yahoo address? 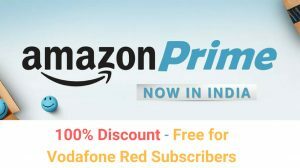 That’s the perfect situation where Mail Forwarding service comes to rescue. You can use it to forward all incoming emails from your Yahoo address to your Gmail address. So, here’s how an email sent to your Yahoo Mail address will be handled after enabling email forwarding. Somebody sends an email to your Yahoo address (example@yahoo.com). Yahoo collects the email and stores it in your inbox. 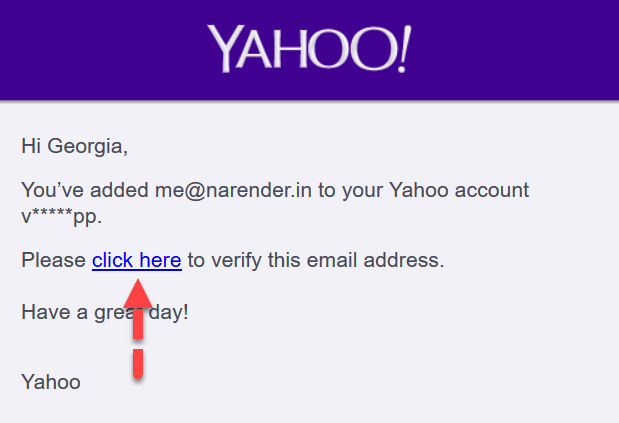 Yahoo also sends a copy of the email to the other address you have specified (example@gmail.com). 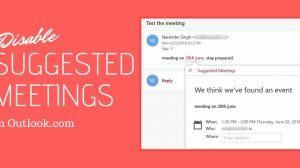 You read your emails in your Gmail inbox (example@gmail.com). Hence, every morning you only have to check your Gmail while ensuring that you do not miss an important mail. Now that we are done with the introduction, let’s see how to set up email forwarding in Yahoo Mail. On your Desktop or Laptop, open your Yahoo Mail account at mail.yahoo.com. Hover over the gear icon “” towards top right and click on Settings. Click on “Accounts” in the left pane and then click on your Yahoo Mail account under Email Addresses. Scroll down and you will see the heading “Access your Yahoo Mail elsewhere“. Now specify the email address where you want the emails to be forwarded and click on the Verify button. An email will be sent to the address specified to verify that you own the email address. Click on the link within the email to start forwarding your Yahoo emails to that address. That’s it. You will be able to read all your emails in your other mailbox. You can also go ahead and change the setting from “Store and forward” to “Store and forward and mark as read”. Doing this will mark all emails as read after forwarding it to your other address. There is no way to stop Yahoo Mail from storing the emails. So, if you do not want duplicate emails lying in your Yahoo mailbox, then you can open it occasionally and delete all emails from your inbox. You described in very simple and easy methods, actually I didn’t want to switch my account from one to another and I was looking the same and the given steps very useful for me , have applied and changed the setting to auto-forward incoming emails from Yahoo Mail to my Outlook account.